Since the mid-1990s Central Asia has suffered major forest fire and other wildland fire problems, notably in the countries of economic and political transition. 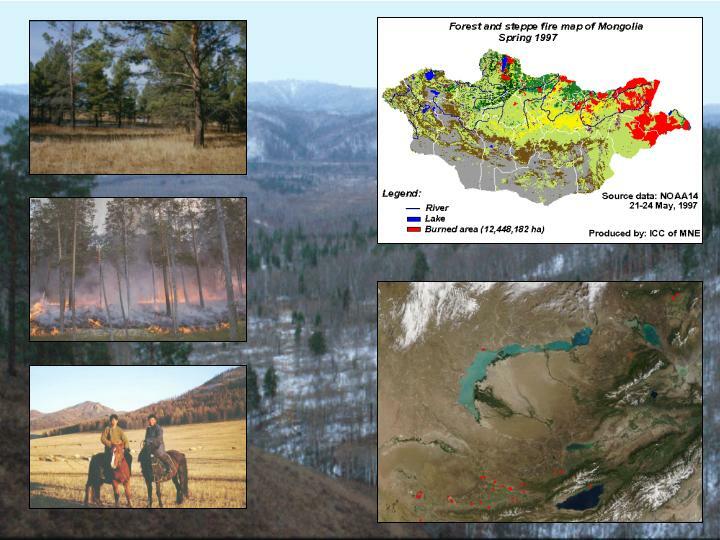 The increasing occurrence and damages of wildfires in the montane-boreal forests and steppe ecosystems of Central Asia are drastically manifested in Mongolia. The montane-boreal (sub-boreal) forests in the North of the country show remarkable adaptation to fire. The impacts of excessive forest exploitation during the last decades, associated with increasing fire pressure of urban people seeking for livelihood in the forests, have led to unprecedented destruction of forest resources by wildfires. A Regional Wildland Fire Network will assist to promote cooperation and sharing of resources in wildland fire management, including wildland fire science.